B.Sc. in Electrical Engineering and Physics. 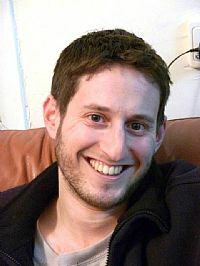 Gilad worked at EZchip during and after his studies, for a total of 5 years. At the beginning of 2016, Gilad and a partner founded the start-up Terrain Technologies, which develops software for chip-companies. Today (2018): Works at Terrain Technologies. Enjoys traveling, TV, computer games, playing music and food.